Project Tomorrow is pleased to endorse ConnectED! Project Tomorrow is pleased to endorse the ConnectED Initiative! ConnectED is President Obama’s plan for preparing our students to be ready for careers in our current & future job market. Careers are overwhelmingly requiring, and will continue to require, technological skills of employees and employers. The ConnectED Initiative will connect 99% of all K-12 schools in the United States with high speed wireless Internet connection within the next five years. The ConnectED Initiative will also invest in training our educators in utilizing technology to enhance the educational quality of our students. To learn more about the ConnectED Initiative and learn how ConnectED works, visit the White House site here. Please also read a letter written to the Federal Communications Commission, and endorsed by non-profit organizations (including Project Tomorrow), and other entities supporting the enhancement of educational quality in the United States here. Speak Up Surveys, an initiative of Project Tomorrow, asks students, educators, parents, school and district administrators, community members, and more their unfiltered viewpoints on pivotal educational programs and concepts. We then synthesize the research, and release our results with local and national representatives to aid in the pursuit of educational enhancement. 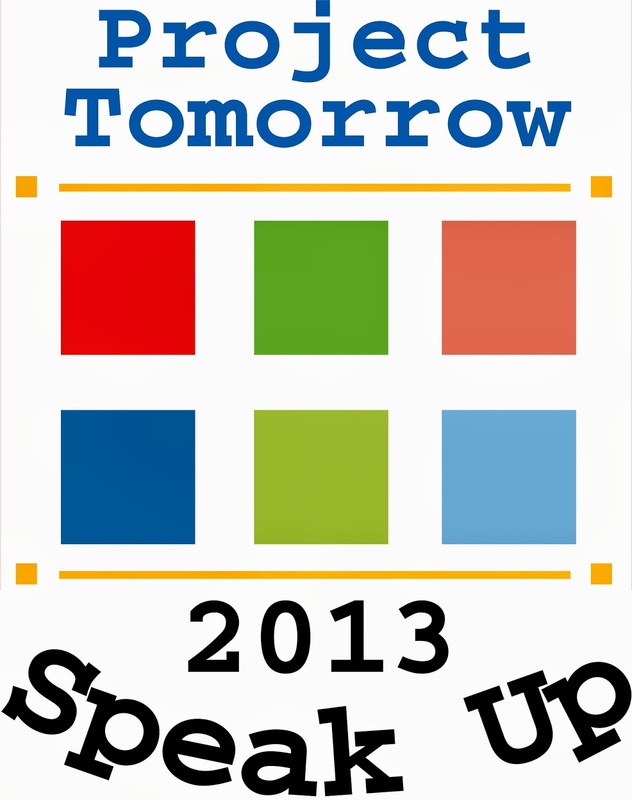 Registration for Speak Up will begin shortly! Please continue to check our website, Project Tomorrow & Speak Up for more information. This entry was posted in Speak Up and tagged ConnectEd, education, Project Tomorrow, Speak Up, technology on August 9, 2013 by Project Tomorrow. A report released by The Wallace Foundation leads to interesting new developments in arts education, and details where the majority of students are receiving their education in the arts. obtain their art skills & education. A recent report by The Wallce Foundation indicates interesting facts about where students are increasingly getting their education in the arts. The report notes that students are, surprisingly (or maybe not so surprisingly to some), receiving their education in the arts not from art class or music class, but rather from cell phones, tablets, computers, laptops, and television, to name a few. Students are overwhelmingly doing this by turning to iPods to listen to several musical varieties, watching visual computer animated films, and creating their own art through a variety of computer programs available today. This new research could play an important role in arts education & curriculum moving forward: How can educators use these new insights in curriculum planning and development? While many schools are being limited or have no access to arts education funding, technology could potentially hold the answer to this problem. Read the Wallace article here for more information, and/or read KPCC’s (Southern California Public Radio) review of the research here. Share your comments with us below. This entry was posted in Innovation Awards, Speak Up, Youth Leadership Summit, YouthTEACH2Learn and tagged arts education, Innovation Awards, Julie Evans, K-12, Project Tomorrow, Speak Up, technology, Youth Leadership Summit, Youth Teach 2 Learn on August 2, 2013 by Project Tomorrow.